You switched to our site for Korea. 당사는 로데슈바르즈 웹사이트 방문 시 사용자를 위한 웹사이트 최적화 및 웹사이트 검색의 사용자 편의를 위해 쿠키를 사용합니다. 쿠키는 귀하의 컴퓨터에 저장될 수 있습니다. The R&S®NRT-Zxx directional power sensors are self-contained measuring instruments. 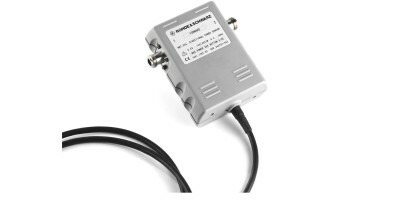 They can be connected directly to the R&S®NRT2 or, via the R&S®NRT-Z5 USB interface adapter, to the PC (communications via USB). The R&S®NRT-Zxx directional power sensors are fully calibrated, independent measuring instruments that can also be used without the base unit. The R&S®NRT-Z5 USB interface adapter enables direct connection to a laptop/PC. The R&S®NRT-Z14, R&S®NRT-Z43 and R&S®NRT-Z44 power sensors make high-precision power and reflection measurements extremely cost-effective. Direct monitoring on a PC is very useful in applications where data needs to be collected (e.g. in development labs and for maintenance of base stations) as well as for purely remote controlled applications such as power monitoring in transmitter stations and EMC test systems. 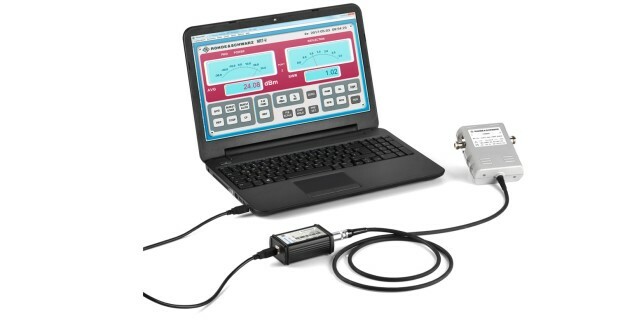 The R&S®V-NRT Windows user interface (supplied with the sensors) allows users to define measurement functions and also display and store individual results and series of measurements. This function returns the average value of the power for any type of test signal (modulated, unmodulated or several carriers). 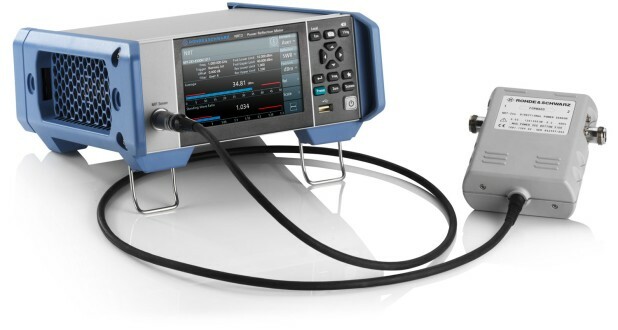 It features a measurement range of 35 dB to 40 dB and high measurement accuracy. Both parameters provide information on the peak power of a modulated envelope and describe the overdrive characteristics of transmitter output stages. The result of the crest factor measurement is referenced to the average power and displayed in dB. Measurements are performed using a video bandwidth that is adjustable in several steps, so that even short-time and high-power peaks can be determined. This function can be used to measure modulated and unmodulated bursts based on the average power and the duty cycle. Both can be defined by the user or determined automatically by the power sensor. This function measures the probability of the peak envelope power exceeding a preset threshold so that the amplitude distribution of signals with an unknown envelope can be determined. 정확한 이메일 주소를 입력해 주십시오. 테스트 및 계측, 보안 통신, 모니터링 및 네트워크 테스트, 방송 및 미디어, 사이버 보안 분야의 제품, 솔루션과 관련된 마케팅 및 광고 목적(예: 특별 행사 및 할인 프로모션에 대한 정보)을 위해 선택한 채널(이메일 또는 우편)을 통해 연락하는 데 동의합니다. 이 동의 선언은 news@rohde-schwarz.com에 "Unsubscribe"라는 제목으로 이메일을 보내 언제든지 취소할 수 있습니다. 또한 전송되는 각 이메일에 향후 이메일 광고에 대한 구독 취소 링크가 포함되어 있습니다. 개인 데이터 사용 및 해지 절차에 대한 자세한 내용은 "개인정보 보호정책"에 명시되어 있습니다.